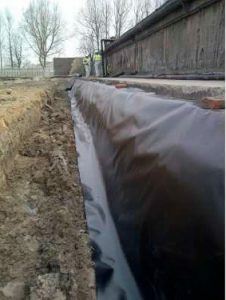 Loose-lay geomembrane bund liners are becoming a popular option for tank farm secondary containment applications. 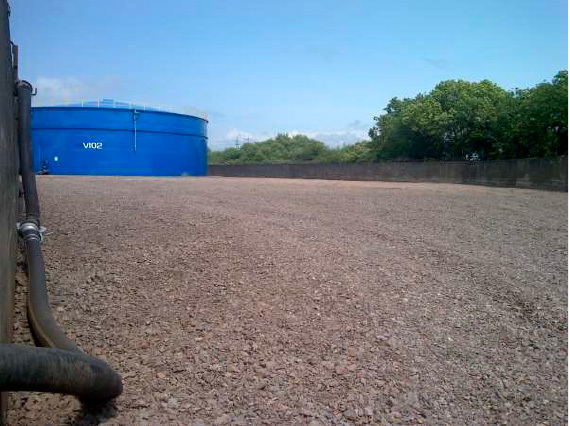 High quality petrochemical geomembranes provide cost effective solutions on this type of project. Performance, longevity, off-site prefabrication and minimal installation time are prime factors for engineers sworking on such projects. The quality of the installation team should not be overlooked; it is as important as choosing the right material. Any geomembrane installation, regardless of material, is only as good as the technicians installing it. Care must be taken with material handling during the process. Teams should work to an approved CQA programme throughout the project. Technicians should be trained and fully familiar with complex detailing requirements around penetrations and upstands, for example. Off-site prefabrication of material is a distinct advantage but knowledge of its incorporation into the overall liner is required. 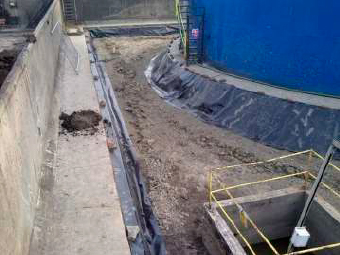 Installation staff should be aware of material movement issues on site, and the need to protect the liner during its application phase. Where the material requires joints, these should be welded by installers qualified to the CSWIP TWI Plastic Welding Standard. It is usually preferable for liner installation to be done by a supplier’s directly-employed technicians, to ensure single line responsibility throughout the duration of the project. A sub-contractor trained installation team is unlikely to have the necessary level of expertise required and will generally be working on a self employed basis. A manufacturer’s “tool-box talk” and a limited amount of welding practice is rarely sufficient to produce a suitable outcome. Best practice points towards the material supplier’s in-house trained and qualified staff, secure, safe and guaranteed. Talk to PAG about the importance of correct geomembrane installation in a wide variety of applications. Our advice is free, we are PAG!